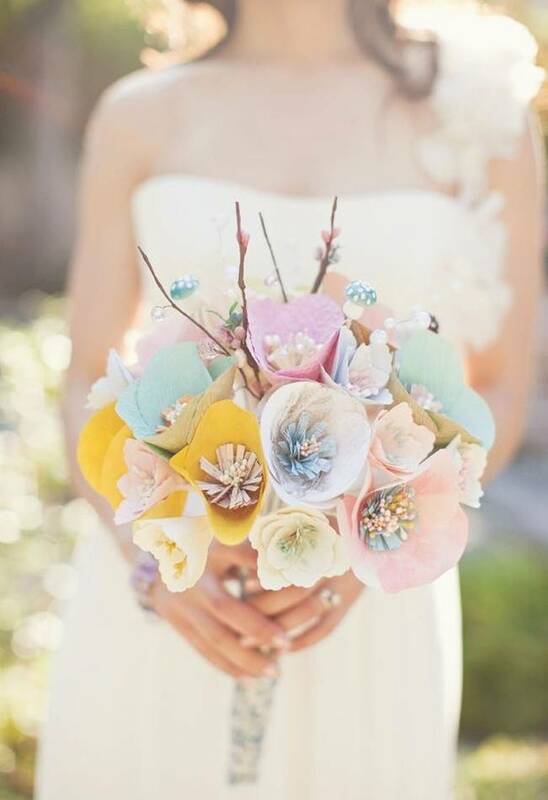 Crafty Brides looking to save money can make their own bridal bouquets from paper flowers. Using a variety of papers and scrapbooking items, you can create a beautiful full and colorful bouquet for pennies, and these flowers won't ever die. Why Paper Flowers and Not Silk? 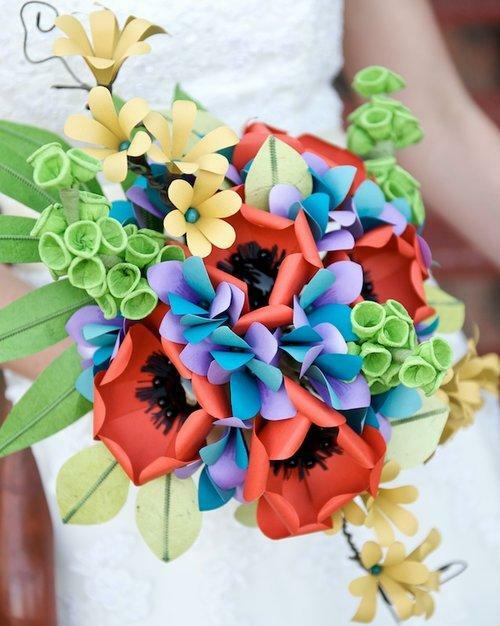 Using paper flowers really isn't that different from buying a silk flower bouquet, except that you'll be making them yourself, so you can get as creative as you like. Then whatever colors you've used in your bouquet, make each of the bridesmaids slightly different. The bouquets for the bridesmaids can match their dresses. Mix up the flowers that are in their bouquets and change up the arrangement, and each bridesmaid will have a different but coordinated bouquet of her own. If you're really good with origami, you can make some origami flowers for the bouquets for you and your bridesmaids. 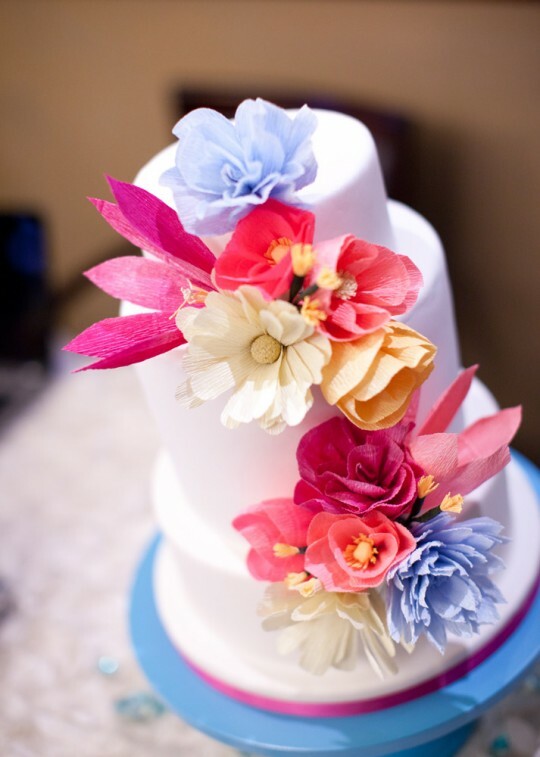 When you use paper flowers - whether you decide to use tissue paper, computer paper, construction paper, coffee filters, or a combination of several of them - it's a fun way to add some of your personality, style and creativity to your wedding ceremony and the reception. Coffee filters usually just come in white, but there are some that are brown. It's best to just use the white ones though, and paint them the colors you want. You can also use different color beads for the inside of the flowers and the long pipe cleaner can be used for the stems. You can get the plastic holders to arrange the bouquet into or you can wrap ribbon around the stems so they're hand-tied. For the guests' table centerpieces, pick up glass vases at a dollar discount store for $1 each and place a few paper flowers in each vase. Give yourself some time to play around with different types of paper flowers to see which you like best, which is easier to work with, and which is the most cost effective, especially if you're on a smaller budget. Make a couple of different arrangements for bridal bouquets and see what you like best. 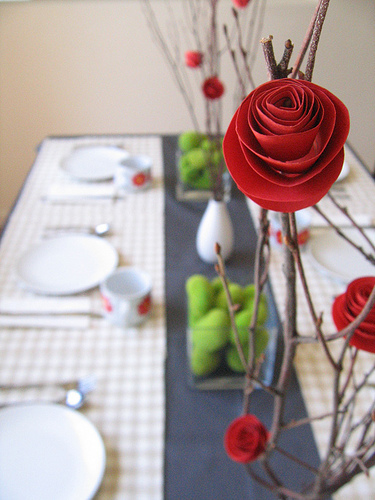 Ask your bridesmaids to stop over on an afternoon and have a paper flowers craft day. 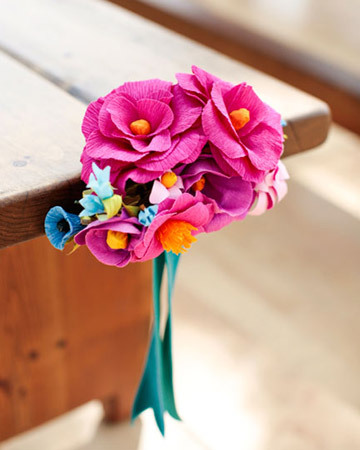 Then your bridesmaids can make their own bouquets based on their favorite flowers.